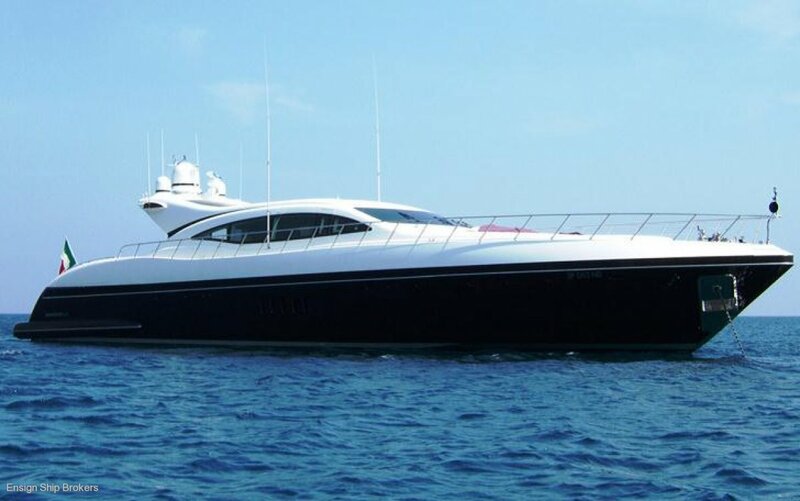 Euro €2,995,000	Need Finance? Need Insurance? 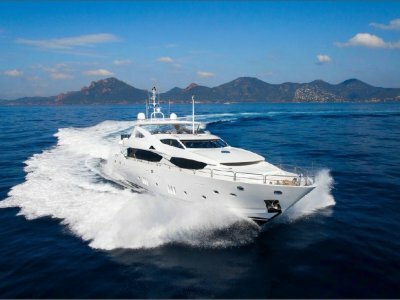 She is a fully customised Mangusta 108 Limited Edition, built for an experienced owner under strict supervision, she is undoubtedly the finest example of Mangusta 108 available today. 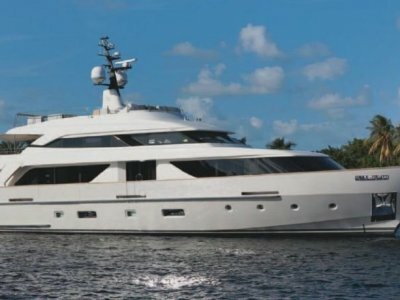 Privately owned since day 1 by her only owner since launch, she will be sold in truly turn key condition. 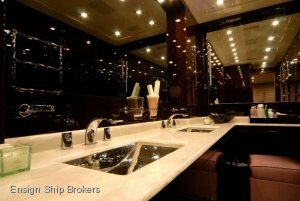 With a contemporary interior customized by the owner’s in house team of designers, is a unique offering. 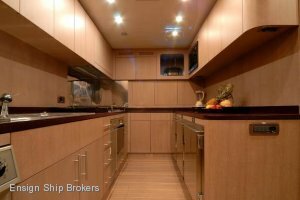 The beautifully designed fully custom interior features a mix of bleached oak, varnished Wenge and marbles. 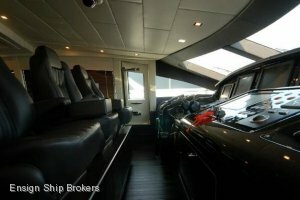 The vast main Saloon features an hydraulic roof and provide panoramic views. It features a full bar together with a cosy lounging. 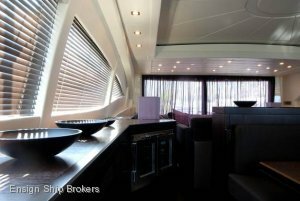 Forward is an interior Dining area comfortably seating 8. 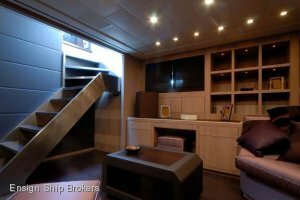 The lower deck salon is an unusually open space with a large angle sofa and a desk area. 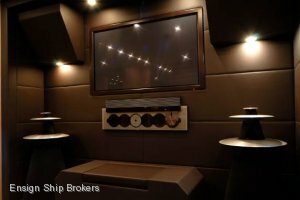 This area can be turned into a media room thanks to the concealed drop down cinema screen and projector linked to the yacht’s Kaleidescape system. 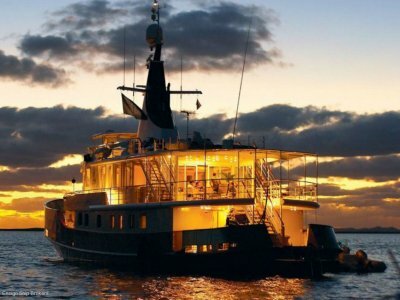 The Guest accommodation includes two VIP staterooms with en-suite bath forward. 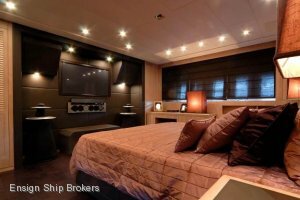 Further aft is the full beam ensuite Master cabin with large portholes for increased natural light. 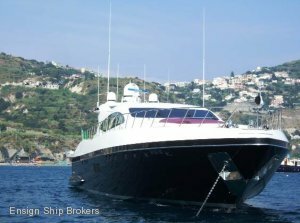 Aft of the guest accommodations are the Crew Quarters which are accessed via separate stairs and include a full width professionally equipped galley, a crew mess, a large captain’s cabin together with a 4 berths crew cabin. 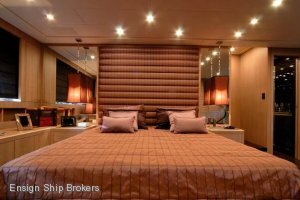 A further twin crew cabin is located forward raising the maximum crew capacity to 7. 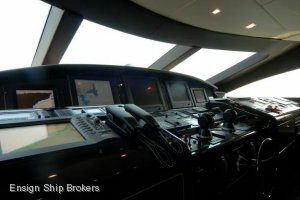 A water tight door gives direct access to the engine room aft. 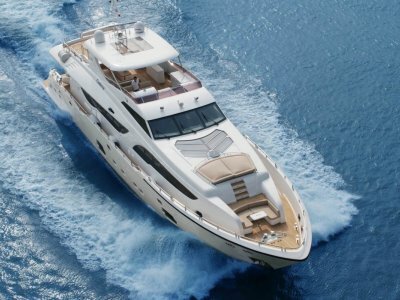 On deck, the large and cosy aft deck offers comfortable sunbathing area convertible in a Jacuzzi. 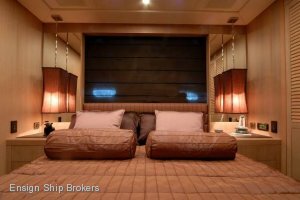 Forward is another large sunbathing area with a retractable bimini and independent hifi system. 1.30 m / 4' 27"